In April 2017 I took my 200 hr Yoga Teacher Training with the Kula Collective at Seven Springs Holistic Retreats in southeast Tennessee. 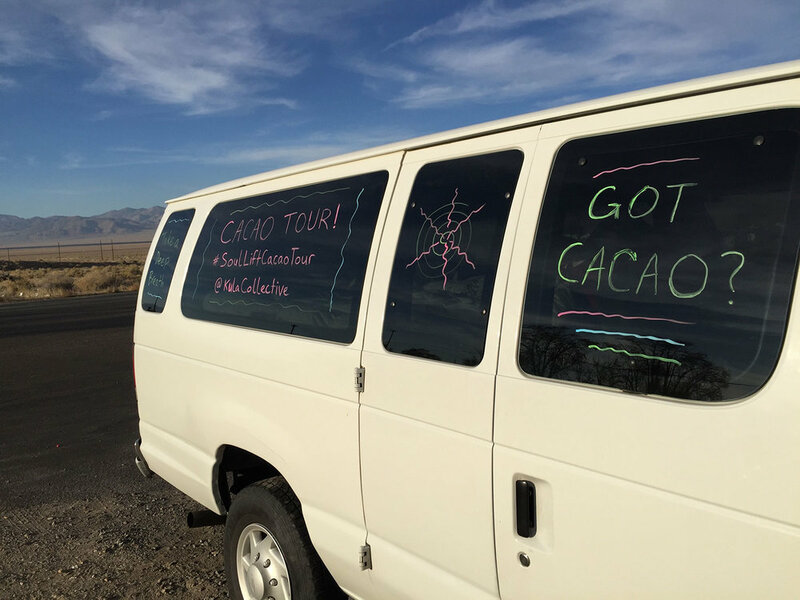 While there I heard that the Kula Collective not only regularly runs "cacao tours" around the western U.S., but that they have a van dedicated for this purpose. Yogis who complete Kula training programs become eligible to run their own cacao tours in Viddy, the long white passenger van converted to hold a futon mattress and lots of cargo in the back. I remember how this sparked my interest at the time. My wanderlust is always there in the background, just waiting for inspiration to strike. Yet some part of me didn't believe that I was capable of running that kind of tour. I had been leading self-development workshops for 4.5 years. But a tour would mean putting myself way out on the world stage, on a level I had never been before. What a scary thought! Then there was the logistical side of planning a tour. Even with the Kula Collective's studio connections, I twiddled my thumbs for a few months before leaning into the challenge of actually booking the events in a way that made any kind of sense when considering the calendar and the geography of cities. Anyway, in August and September I dug in and did the hard work. I knew that first thing in October I'd be participating in the Sustainable Living Tour, a moving retreat by Earth Journeys that takes "changemakers" to eco-centers and intentional communities around Southern California. So I planned to pick up Viddy from San Diego and go from there. But then I heard Viddy was going to get dropped off in Denver! Luckily I used to live nearby in Boulder and I need very little excuse to visit friends there. On October 13 I flew from LA to Denver and immediately jumped into my first tour of “Tantric Expansion Cacao Ceremonies” under my brand name, Soul Lift Cacao. I held one ceremony in Boulder and then back-to-back sold-out ceremonies in Denver. Like many cacao facilitators, I always hold a circle at the beginning where people can introduce themselves and share an intention for the journey. I serve carefully measured glasses of warm cacao drink prepared from ceremonial paste delivered straight to me from a family farm in eastern Guatemala. LEARN ABOUT THE CACAO FARM TOUR NICK WILL LEAD IN FEBRUARY 2018! From there I’d strive to take people on a holistic transformational journey, first going deep into the body and the breath. In the Western developed world, we spend so much time "in our heads" that just giving our “monkey minds” a little vacation can be potent medicine in itself. After some gentle sitting and breathing, creating spaciousness for the spirit of cacao to come in and spark some magic, I’d invite people stand up and spread around the room. Then I'd usually lead a shaking activity, and at least one round of chakra breathwork – both adapted from OSHO active meditations. The shaking allows us to throw off any weight we're carrying unnecessarily, whether physical tension in the body or symbolic expectations or social norms that aren't serving us. 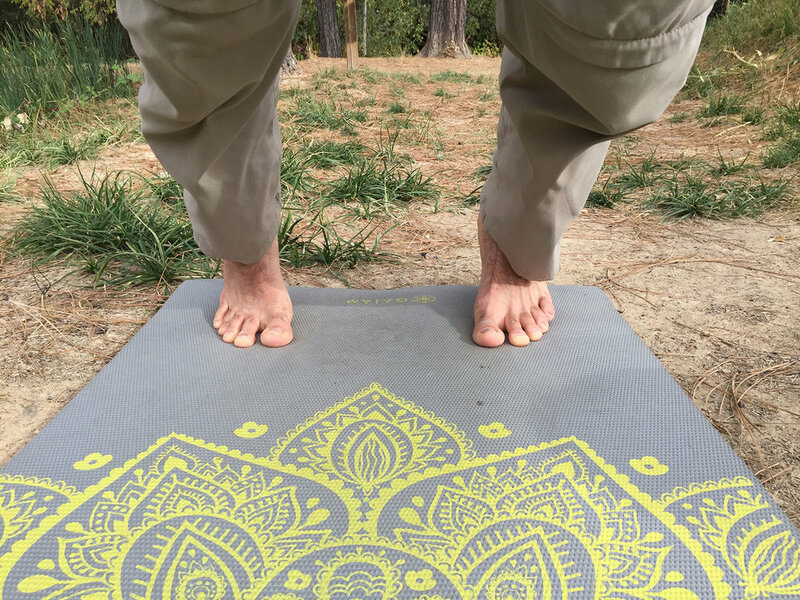 We ground totally into the present moment and tap into the instinctual wisdom of the body. The chakra breathwork is like a cleanse for the nervous system that washes away the effects of scary or unpleasant experiences, heartbreak, and any mental resistance to living in our fullest power. The extra oxygen can be very healing, working together with the cacao to safely elevate us into a mythical realm so that we can do some significant transformative work in the group container. From there I’d open up to a gentle movement journey in which people breathed into their core and followed their inner sense of direction around the space. Then I'd transition into more verbal, interpersonal activities and guide people in one or more exercises to develop efficient communication skills, open up to safe intimacy, or – if people were still too stuck in their heads – explore nonverbal communication and interaction. Finally I'd close the container with a sharing circle for integration. Each of the tour's 12 ceremonies was a unique phenomenon, shaped by the contours of the venue, the mood of the participants, and the atmosphere of the city surrounding us. From Denver I drove west to Las Vegas, arriving only a couple of weeks after the tragic massacre occurred there. I found a pocket of really dear souls in downtown Vegas, reminding me that heart-centered people can be found anywhere on this Earth. Then I veered off my set route and went north to Nevada City. 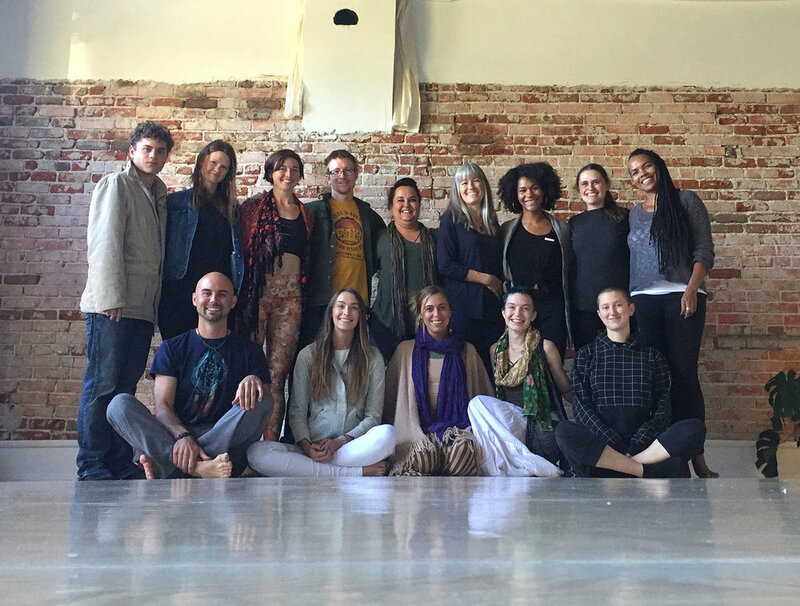 With only 48 hours of planning, Happy Om of the Golden Mandala Yoga Studio helped me pull together what became one of my most memorable ceremonies on the tour. I drove west to the Bay Area, stopping in Santa Cruz, San Francisco, Sausalito, and Oakland in a period of five days! By this point I was reaping some of the deeper insights I had set out to find. On the tour I wanted to get more clear about my facilitation work and my unique offering to the world. I started to see something about leading people into the unknown, into unpredictability, and into the mystery within them. So many people shared in the integration circles that they didn't know exactly what to expect, but had some mysterious feeling telling them to come – and they were glad they listened to it! In other words, a lot of what I do is about supporting people to face the fears that keep them small – that keep them from stepping into their power, standing out in the world, and fulfilling their true potential. And I was doing that for myself with the cacao tour as well! Ceremonial cacao is a great tool for exploring this because it is a plant medicine with deep, mysterious qualities... but it's a safe and gentle one. We stay connected to our ordinary sense of reality, unlike when working with some other plant medicines. The worst-case outcome for most people having cacao would be a little bit of nausea or a headache. But those seem pretty rare if people drink plenty of water and flow with the emotional and physical movement that cacao encourages. Up to this point I had Chicago friend and tantra facilitator Hannah Marie assisting with the ceremonies and the drives between them. Here she departed and I entered the final leg of my tour solo. I drove south from the Bay Area with the news that my first-ever workshop in Hollywood had sold out! It might sound silly, but for a man who grew up in suburban Detroit this was extremely affirming for me. In other words, the risk I took in putting myself out in the world was having some reward. People were responding positively to my offering that had sprung from weaving together logic and intuition, based on the unique mix of training, research, and personal experience that I had accumulated. I swung up to Ojai and then finally down to Encinitas. Both of these towns sung to me in their own sweet way. On my tour I also had the secret mission of finding a winter base where I could escape the freezing weather, find more access to intentional community and enriching nature spots, and also be able to do my work of facilitation and coaching. Especially in Colorado and California, people simply got it. Whereas I often get puzzled looks when telling people about my work in other places, a lot of people in these states thought it just made sense. 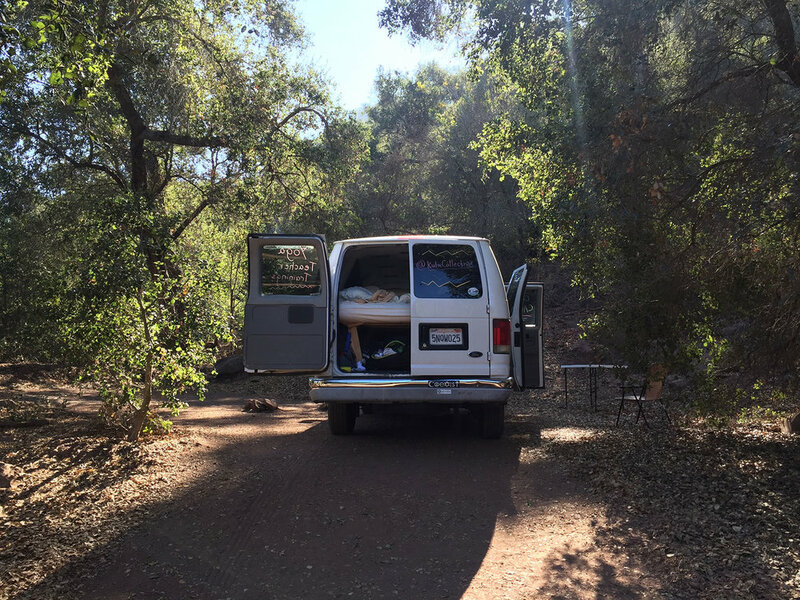 So a few weeks after my tour ended, I decided to buy my own used van with a bed in it, and I'll be returning to Southern California before the end of 2017. I'm going to a place where I can have the biggest impact at the current time, both where the conditions exist for me to feel the most healthy and capable of doing my work, and where there's a community eager to receive my offerings. This will help during the launch of my new project BS Free Spirituality, all about demystifying introspective practice and making holistic self-management options more accessible to ordinary people. I'm so grateful to the Kula Collective for the inspiration and logistical help on my first ever workshop tour. It was absolutely crazy and I can't believe I got through some of the tougher parts. But I also learned a lot and I have the momentum to move confidently into the next stages of my professional journey. 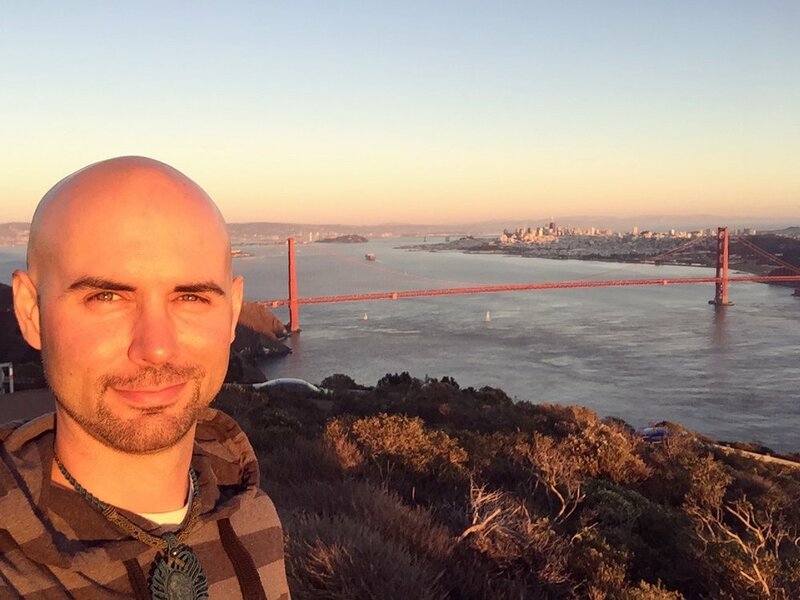 For anyone seeking a yoga teacher training or other transformational retreat, I highly recommend their programs in internationally renowned destinations. Kula means "tribe," and theirs is one I'm proud to be part of. This article is being cross-posted here and on the Kula Collective blog.